Businesses that provide outsourced services offer substantial time, money, and investment savings, allowing client companies to allocate their resources to other priorities. Fourth Party Logistics companies (4PL) otherwise known as Lead Logistics Providers (LLP) are capitalizing on outsourcing advantages by developing the vital technologies their clients are seeking for value-added logistics and supply chain management services. The 4PL business model, while simple, is re-shaping logistics for small and large businesses across numerous industries. Los proveedores de 4 PL ofrecen a sus clientes servicios personalizados en soluciones integrales de administración de la cadena de suministro. Pueden gestionar procesos específicos de la cadena de suministro, incluidas la adquisición, el almacenamiento, la distribución y el transporte, pero muy a menudo tienen la supervisión de todos ellos. A 4 PL asume los mismos objetivos que sus clientes y tiene la responsabilidad de tomar las mejores decisiones de logística para ellos. This complex management role requires in-depth industry knowledge of their client and software network, the ability to match solutions to various inventory, vendor, visibility, transportation, and communication needs. Providers use a customized combination of core logistics software, tailored to each individual client and tightly integrated across all processes. Some of the most in demand 4PL solutions and technologies include the following. As a managed service provider, 4PLs employ data collection and analytics software to model client industry trends, demand forecasting, and logistics scenarios in order to address key business needs. These tools may include supply and demand projections, cost estimates, financial planning, and "what-if" modeling software. Automation programming can be designed to respond to data collected from planning stages to order and replenish inventory, alert management of potential issues, and suggest corrective actions. Another common and popular tool involved in logistics planning is a Warehouse Management System (WMS). Warehouse Management Systems employ barcode, RFID scanning, Electronic Data Interchange (EDI), and way-finding programming to optimize inventory storage, picking, packing, and order fulfillment processes for the following steps in the supply chain. 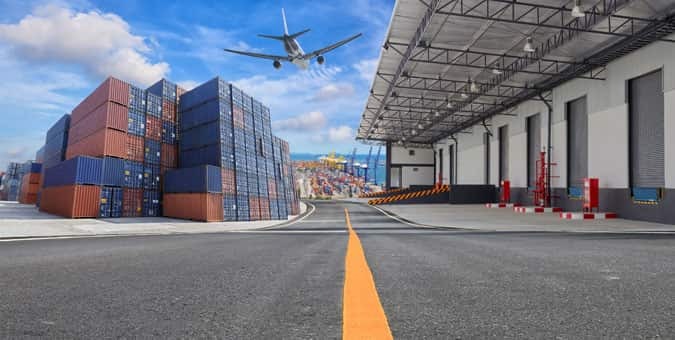 Several key technologies are involved in coordinating the many components of a complete supply chain-suppliers, transportation services, and warehouses. CRM software serves as a vendor-facing interface for the 4PL company, managing clients' relationships with each 3PL. Transportation Management Systems (TMS) organize and automate supply chain distribution by integrating order management systems, warehouse management systems, shippers, carriers, and receiver software. TMS functions include messaging applications, real-time shipment data, route planning and optimization, freight management, and more. The modern supply chain runs on in-depth, high quality data about every step in the process, from procurement to final destination. The Internet-of-Things (IoT) employs sensors, scanning devices, and real-time GPS to track and trace assets at any point of the processing journey. 4PL technologies must be advanced enough to handle big data, integrated IoT, and up-to-the second reporting to ensure that all resources are accounted for. A reliable database and configurable business logic programming enables 4PL software solutions to maintain complete oversight and make decisions about logistics processes with all the relevant details on-demand. Cloud software is also an integral part of many 4PL solutions as it provides low cost options for clients and convenient data access. 4PL providers maintaining the cloud solution ensure a steady revenue from subscription-based payments. 4PL entities in need of the most cutting-edge solutions and 3PL companies expanding into 4PL capacities would benefit from technology service providers with industry-specialized experience in developing logistics software. Chetu developers specialize in designing and programming value-adding software solutions for supply chain and logistics companies across all industries.